The company El-Andersson in Vessigebro has a long and interesting history. The company was founded in the 1930s under the name of Herbert Andersson Electric. During its first 30 years the company worked with powerlines in rural areas. Next step for El-Andersson was to supply new capital goods such as cookers and refrigerators to private customers. 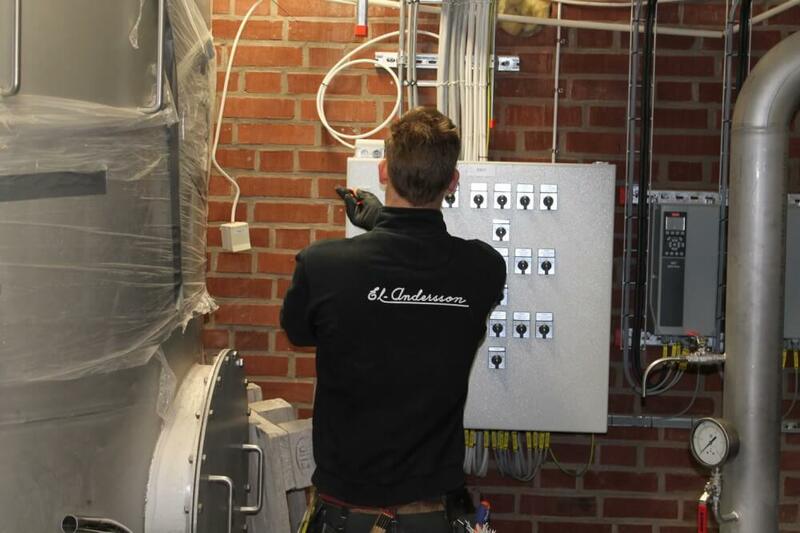 Since then El-Andersson constantly developed to become a modern company with 21 employees. Today the company holds specialist knowledge in electrical systems and control systems for machines and process industries. In 2010 El-Andersson was in need of a planning program to control time, resources and costs. They contacted Elecosoft and chose to buy Plancon. Plancon is an easy to use software that handles project planning. The third –generation owner of Anders Andersson of El-Andersson talks about working with Elecosoft. – We started using Plancon for time management. It opened our eyes for other programs that could help us become more effective. When we would invest in a spreadsheet application we compared a few but felt that Bidcon was best for us. Today we use both Plancon, Sitecon and Bidcon and are very pleased that all are from the same supplier. Partly because of the programs interact, but it is also a great advantage that the support gets simplified when we only need one phonenumber. – Support is something that Elecosoft are very good at. I’m really happy with the help and the responses I´ve got from them. – When we first got the programs we had two days of onsite training to get started. At that time we learned the basics of the programs. Since then I have received a number of offers of joint training days and I have accepted most of them. The training days are very good and are kept at an appropriate level. The leaders are educational in their way of teaching and the training days are located in prime premises at well-selected sites.